With somewhat regular desk jobs (translation: less free-roaming vacation time) this past year, summer travel was more about the long weekend away and revisiting tradition. 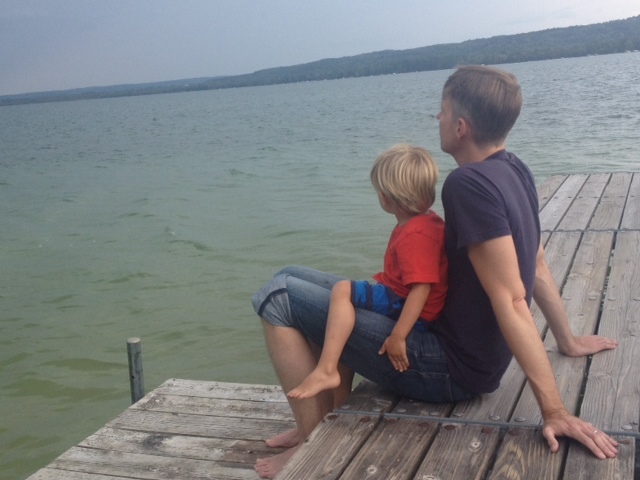 Some old, like time spent at the family cottage (100 years old this summer!) in Bellaire, Michigan. 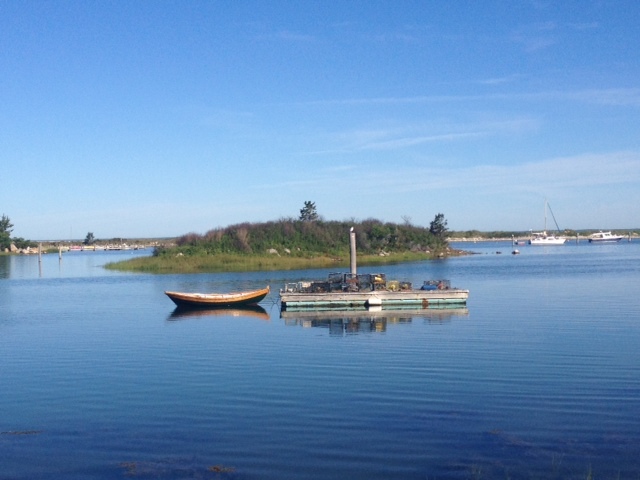 Others newer, such as the three-summers-old tradition playing castaway on Cuttyhunk Island off the coast of Cape Cod. This year we loaded up on groceries, wine and diapers and stayed for one whole blissful week on island. 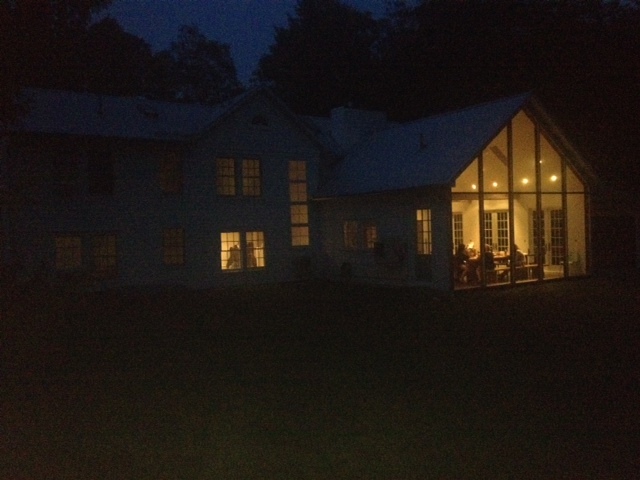 And, something we hope that will become a tradition, an escape to the Floating Farmhouse, in Eldred, New York, for the birthday of a dear friend. The meandering drive along two-lane roads trimmed with farm stands by way of New Jersey, with a jog into Pennsylvania and back over the New York state line to the Catskills, made it fell like more of an adventure than the easy two-and-a-half hour journey it was. This 200-year-old farmhouse was artfully revamped to blend the existing structure – wide wood floors, exposed beams, rustic wall planks – with new elements. Most notable was the open kitchen with its wood-burning pizza oven and soaring wall of windows facing the pine-dense forest. 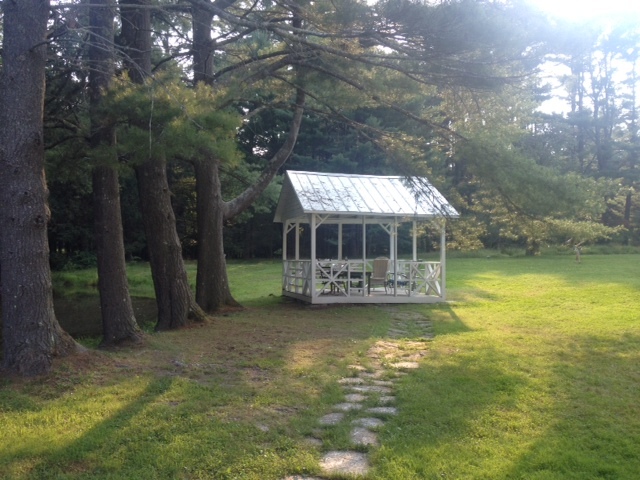 Ok, we were all ga-ga over the deep soaking tubs, vaulted ceilings and generous porch perched on the muddy pond, too. Frogs croaked their creaky songs at night on the pond. A black bear sauntered through the woods in plain sight. 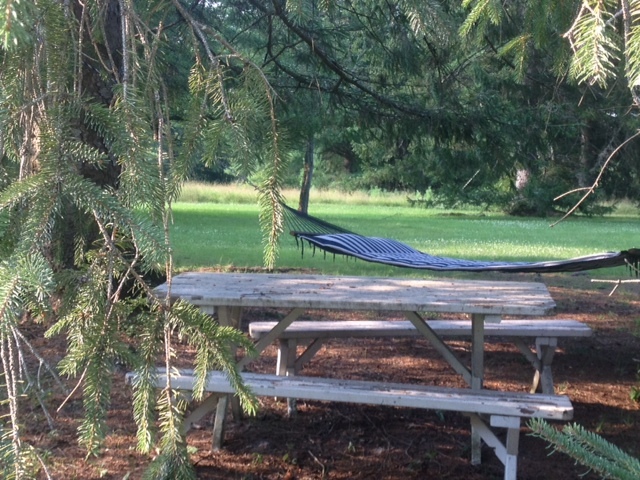 People wandered out to the gazebo with coffee in hand and a book, or rocked in the hammock. Frisbee breaks were mandatory and frequent. Like a group of test kitchen chefs, we worked on perfecting a pizza crust recipe. We lazed for hours on the loungers surrounding the pond. And we laughed, a ton. It was filling on all levels. And I can’t wait to get back there again next summer…or, in any season, for that matter. 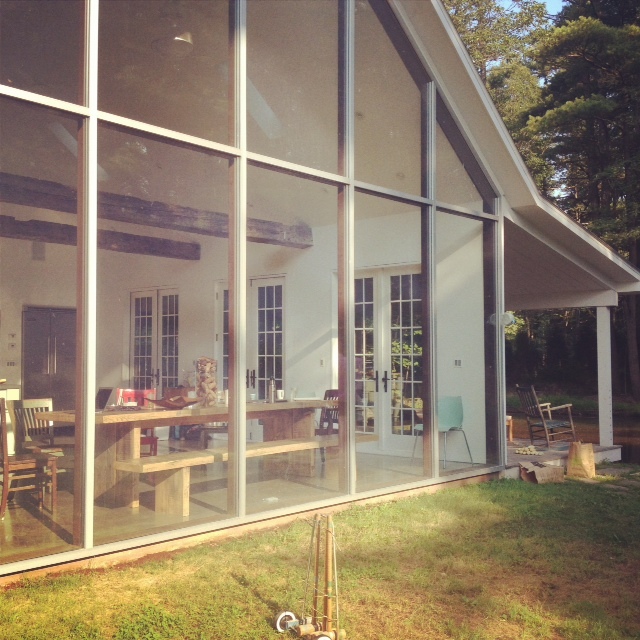 This entry was posted in wander and tagged architecture, Catskill Mountains, Eldred, Floating Farmhouse, New York, summer travel, traditions, travel, weekend escape by lhouse. Bookmark the permalink.